Glass Artist Marcy Anholt has created a series of original stained glass mosaics of birds in their mating displays. These works of art have been photographed and pressed into tiles. 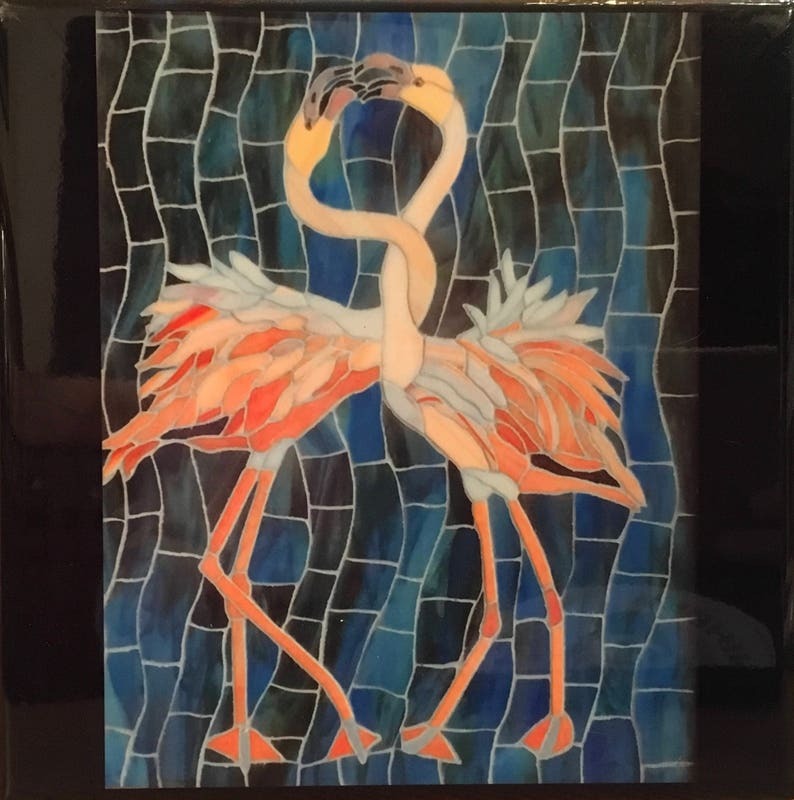 Each ceramic tile is 8” x 8” with a sturdy backer to allow it to stand or hang. This is the Flamingoe’s mating dance. Beautiful hummingbird and prompt delivery. Gorgeous colors and prompt delivery. Shipped promptly and received within one week of order. Good communication with owner.